The safest way for your child to ride in a vehicle is in a car seat. 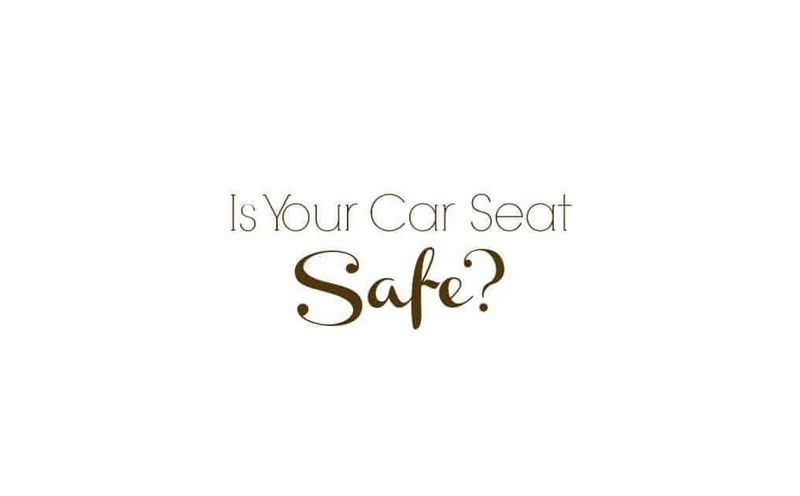 Depending on your child, that may mean an infant seat, a convertible seat, or a booster seat. The point is that children should be in a car seat when riding in a car. I am going to assume that we all know that! But is your current car seat safe to use still? Did you know that car seats can sometimes be unsafe? It’s true. Just because it’s not falling apart at the seams does not necessarily make it a safe car seat. It is important to realize that car seats do need replacing occasionally. It’s equality important to know when to replace a car seat. 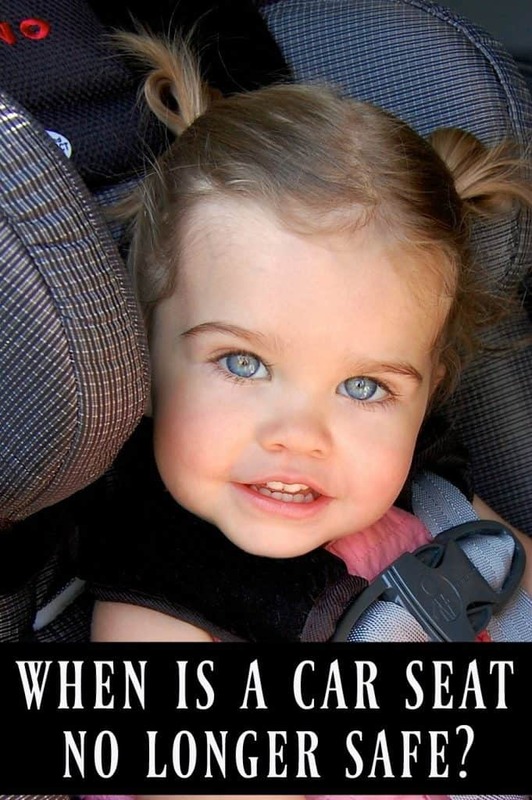 Is your car seat past due? We tend to think of expiration dates for food but did you know that car seats have expirations as well? Expiration dates are important to adhere to as they let you know when the material that makes up your car seat may be worn out. It might look like that plastic is strong but in an accident if it’s past it’s expiration then it might be too weak to do it’s job. Another reason for expiration dates is because car seat standards change over time. What was once the safest car seat on the market 10 years ago might be one of the worst today. Expirations help you to keep up with the standards. Most car seats expire between 5-10 years, with 6 years seeming to be the norm. Check with your car seat’s manufacturer/manual for how long the car seat will last. Most new car seats now come with an expiration date located next to the sticker with the model/serial number on the car seat. Obviously if your car was hit and everything in it is completely unrecognizable than I think it’s safe to say you know you must replace your car seat. However, it’s not just the really bad car accidents that can render a car seat unsafe. The National Highway Traffic Safety Administration says that car seats that were in either a severe or moderate accident need to be replaced. The car door closest to the car seat was not damaged. There were no injuries to any of the occupants of your car. There is no visible damage to the car seat itself. However, you must know that the car seat manufacturer can disagree with the NHTSA’s rules. Some car seat manufacturer’s still say that you must replace a car seat if it was in ANY accident. In order for your car seat’s warranty to still be valid, you must comply with the car seat manufacturer even if their rules are more strict than the NHTSA’s. So if you are in a car accident (and the car seat was in the car, with or without your child in the seat) make sure to check your with your car seat manufacturer to see if you need to replace the car seat. All products can be recalled; car seats are no different. If a car seat is found to have a defect of some sort then it is recalled. It is important to register your car seat so that you will be notified when recalls occur. You can also check the car seat recall list which is continually updated with all the car seat recalls. It is important to take the action that is described with the recall information so that you can have a safe car seat. Car seats have height and weight limits for a reason. If you place a child in a car seat who is past either of those limits then the car seat can no longer do it’s job properly. When your child outgrows their car seat (or seat position such as rear facing) then it’s time for a change. On the opposite end of things, using a car seat that your child is still too small for is also unsafe. This includes having a baby ride forward facing before they are old enough/heavy enough and moving kids into a booster seat before they are the right size and can pass the 5 Step Test. A used car seat can be safe so long as you know it’s history and know it’s recall info and expiration. The problem lies when you do not know it’s history. As mentioned above, you do not want to use a car seat that has been in an accident. For this reason, it is not advised to buy a used car seat unless you are absolutely certain that it has never been in an accident.